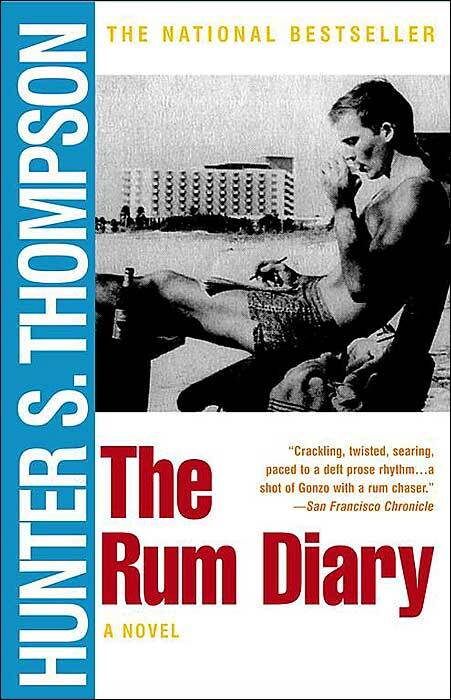 Hunter S. Thompson, more commonly known for his books Fear and Loathing in Las Vegas and Hell’s Angels, is also responsible for The Rum Diary — a memoir of sorts recalling the decade Thompson spent living in San Juan, Puerto Rico, after moving to the island as a 22-year-old journalist in 1959. Literally nothing happens in this book, yet I found it to be a hugely enjoyable read. Thompson spends his days sleeping till noon, eating hamburgers with the other drunkard writers from a sinking English language newspaper, and sweating profusely in the Caribbean sun — all the while swilling a bottomless glass of Superior Rum. Although his character is often questionable, you can’t help but like him — he is something of a traveling, hedonistic Holden Caufield. Thompson’s writing style even mimics J.D. Salinger’s; it is simple, approachable, and often introspective. While Thompson can’t escape the feeling that time is passing him by while he’s on the island, this book has a similar effect on the reader offering wonderful haven. As you dive into the pages, you feel as though you are diving into your own Caribbean vacation.